The Department of Anesthesiology works for the purpose of providing the best perioperative care for all patients in the Operating Room and other satellite locations such as the Endoscopy Unit, the Catheterization Unit, the Major Burns Center, and the Obstetrics ward. 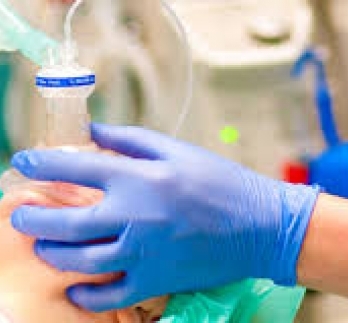 Thus, expert Anesthesia care covers a spectrum of surgical indications, including Neurosurgery, Vascular, Orthopedic, Urologic, ENT, Ophtalmic, Pediatric and General Surgeries. State of the art technical equipment includes Video Assisted Laryngoscopy and Fiberoptic Bronchoscopy, Ultrasound guidance for nerve blocks, fluid warmers as well as warming blankets, neuromuscular blockade monitoring, core body temperature monitoring, etc. The Department also manages the Anesthesia preoperative clinic, collecting a detailed record of Past Medical History and performing a targeted physical exam for each patient scheduled for surgery, as well as obtaining appropriate laboratory exams and specialist evaluations. The goal is to minimize for each case surgical or anesthesia risk factors in regard to coexisting diseases, and to reduce for the patients the burden of unexpected delays of surgical procedures. The vision of the Department is to constantly emphasize, in accordance with the general managerial strategy, quality, patient safety and continuous performance improvement. Fibromyalgias, complex pain syndromes management.